We are very much looking forward to watching Taylor’s Morris on stage at the Playhouse. Formed in 2016, the team are dedicated to performing, developing and promoting the Longborough tradition. With members drawn from a wide geographical area, Taylor’s Morris practice monthly in central London from September to April and can be seen at days of dance, festivals and other events during the summer months. 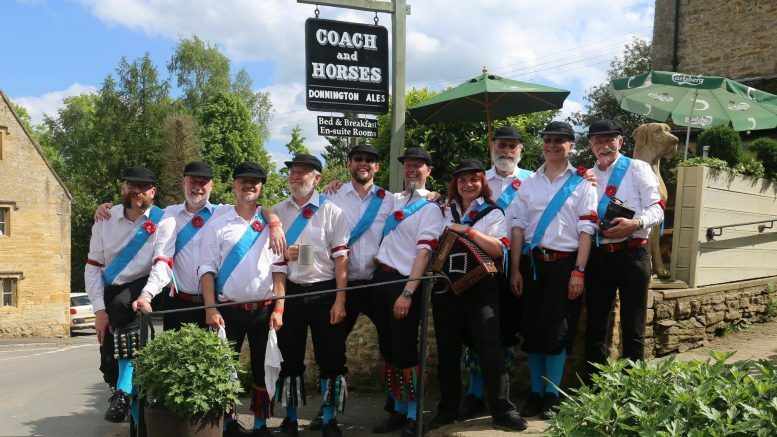 The team is named after Harry Taylor, foreman of the Longborough Morris side. It was from Harry Taylor that Cecil Sharp collected the Longborough dances, although the team had stopped dancing some 20 years prior to the meeting between Sharp and Taylor. The Longborough tradition is physically demanding and Taylor’s aim to dance to a high performance standard. With its signature jumps and galleys, Longborough is a mature tradition with depth and great dramatic potential. 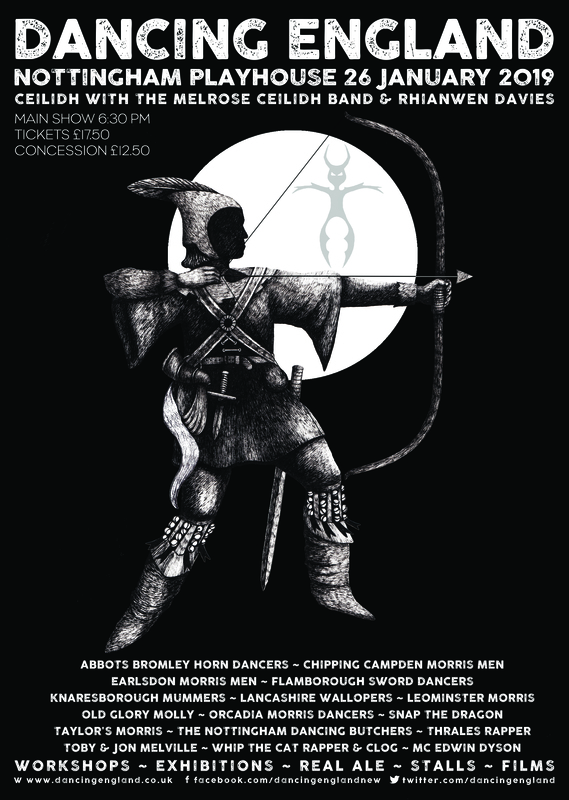 The current team repertoire includes both collected and original dances in the Longborough tradition – Longborough, like Harry Taylor said. Taylor’s Morris kit was created using Sharp’s notes and drawings of the original Longborough kit. Although no pictures of the original kit survive and the details that are available are somewhat sketchy, the team have put together something unique and authentic. 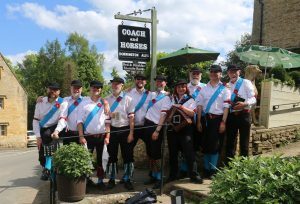 Be the first to comment on "More Cotswold finery in the shape of Taylor’s Morris dancing the Longborough Tradition"